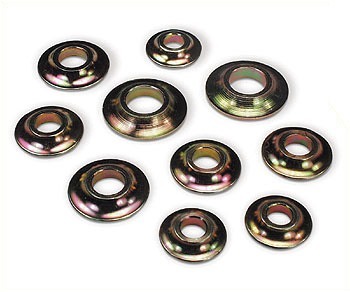 With the assistance of our industry experts, we are devotedly engaged in offering a broad assortment of Machined Washers. By inculcating latest technologies and techniques, our experienced professionals fabricate these plates using premium grade basic material and advanced techniques. In addition to this, we offer these washers at the most acceptable prices to our valuable clients. Material: Mild Steel (MS.)/High Tensile (H.T. )/Stainless Steel (S.S.) & Brass. Sizes: From Dia. M 6 -Up To- M 64 Dia. (In Metric Series). & From Dia.¼” –Up To-2” Dia. (In Inches).